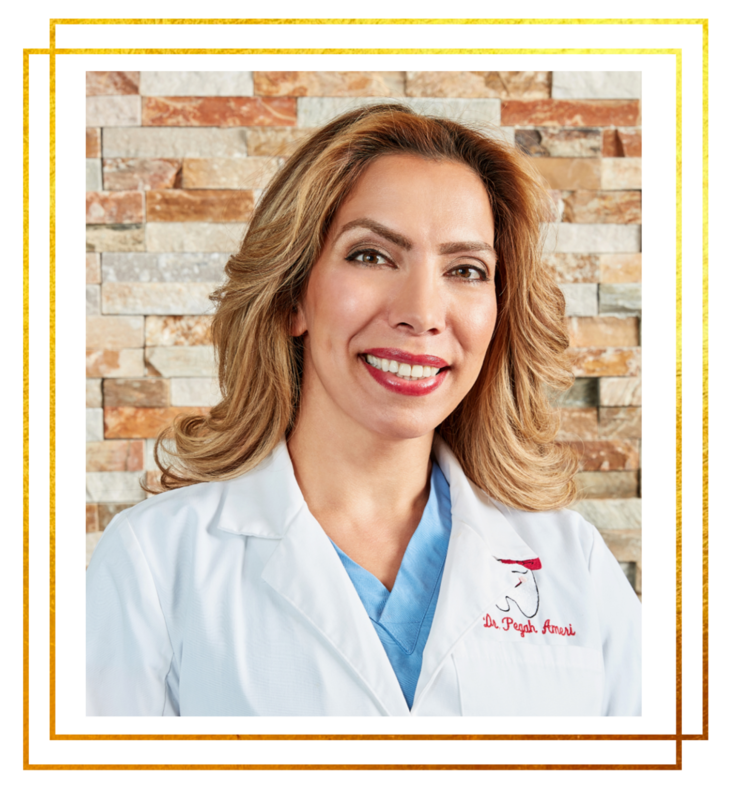 Recognized by her patients from around the globe as the “Go-To Cosmetic Dentist,” Dr. Pegah Ameri prides herself on transforming smiles into ones that her patients are proud to show. For her signature #AmeriSmile Makeover, she uses the latest technologies to correct any problematic areas in regards to teeth whitening, veneers, bonding, Invisalign®, inlays, onlays, over-dentures, bridges, mercury-free fillings, scaling, and root planing with ultrasonic dental cleaning. She is well known for a pain-free Lumineers® procedure that is minimally invasive. She has spoken at various dental and medical conferences about this revolutionary treatment. Dr. Ameri also provides cosmetic beauty services, including Botox® and Juvederm® facial rejuvenation. She received her B.S. degree in Biochemistry and Molecular Biology from Rutgers University and is a graduate of the prestigious University of Medicine and Dentistry of New Jersey. She also taught biology and organic chemistry at Essex County College. She has served as the vice president of the Iranian American Medical Association (IAMA), is a member of the American Dental Association, the New Jersey Dental Association, and the Bergen County Dental Association. Dr. Ameri has also donated her time by participating in service missions to treat patients in Iran and India.